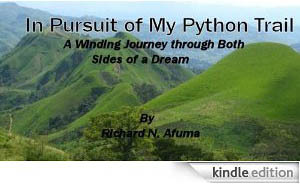 My name is Richard Afuma, a naturalized American citizen from the West African nation of Cameroon. 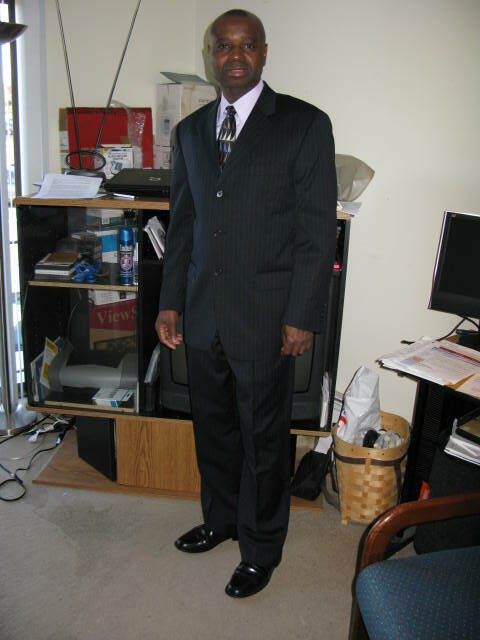 I was born posthumously in the minority English speaking Cameroon territory. Richard is not my birth name. My affectionate birth name is Ayeah Nsom, named after my mother's polygamous father. I chose the name "Richard" for my Christian name when I was baptized under the illusion that I would someday become rich. I also wanted to share the same first name as Richard Nixon, formal American President. I share the same birth day with Neil Armstrong, the first person to walk on the moon and Patrick Erwing, retired Basketball icon. My mother was a widowed-single-mother and a ferocious pipe smoker who breastfed me until five. She also fed me with chewed cooked yams. She married once but her husband was murdered by the hand of his own father. She chose not to remarry but continued child-bearing from different men. She birthed 11 children from different men. The name of my adoptive father is Barnabas Afuma. My biological, Nsom Nabi, an avid basket weaver, died in the early 1980's. I don't know him and never met him. I am the fourth child and the first male sibling. I left home at a young age to live with distant relatives who helped pay for my education. I was immensely lucky to go to school and learn to read and write in English. I was also attended secondary school and ultimately come to America. Coming to America in my area is big deal. I am the only child in the family to go to college and the only bread-winner. It is common practice in my culture for poorer children to be sent to go and live with a rich family or friends and perform domestic services; in turn they are sent to school to learn a trade. My primary aspiration growing up in the village was to go to school acquire an education and help support my family. I successfully completed a seven year primary education and a four year secondary education. A college in Cameroon would be an equivalent to a high school in America. I also attended Yaoundé University (department of laws and Economic Sciences). I migrated to America in September 1987 to attend Westbrook college. After graduation in 1991 with BS, I attended University of Maine, Orono graduate school from 1992-1994. I was sent to Portland, Oregon instead of Portland, Maine when I first came to America. Apparently, the travel agent in Cameroon did not know about the two Portlands in America. Unfortunately, my lost luggage was never recovered as a result. I am currently living and working in Portland, Maine. I have deep sentimental attachment to the beautiful and vibrant state of Maine. I consider Maine my adoptive home state. Afuma means, a survivalist or a person in a desperate situation without an immediate solution.